We’ve lived in our home now just over three years. Right before my daughter was born, we were able to finish the inside of the house. We put in new tile, carpet and we repainted and refinished everything else. It took a long time, but we finally got the house the way we wanted. This month we started on the pool. It’s old, huge and needed to be resurfaced. We’ve talked a lot of time in trying to pick out the best options. Right now it’s a bit of a mess, but hopefully it will come together before Christmas. Because we’ve been so busy with the pool, and all the other things that come this time of year, I don’t feel like I’ve had any extra time at all. I ran into Publix yesterday to get a few days worth of meals, until I could get back to do one of those major grocery shopping trips. 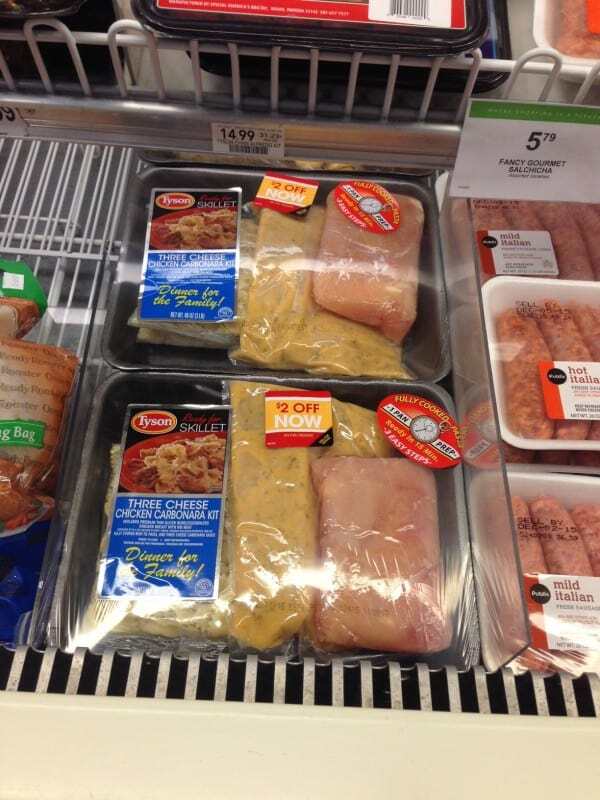 When I was at Publix I found these great looking pre-prepared meals from Tyson®. 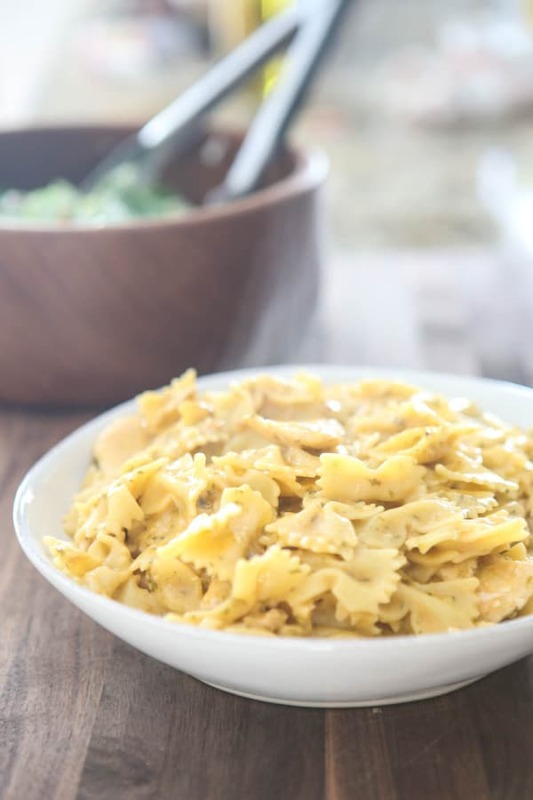 They looked amazing and easy to make, so I picked up this Chicken Carbonara. There’s an Instant Redeemable Coupon (IRC) for $2 off located right on the package too! It will be active through 02/01/16. There’s also an in-store Publix Weekly Ad – Promo Price: $10.99. This promotion will be through 12/3/15 – 12/9/15. This kit was so easy to make. You just brown the chicken, add the sauce and then the pasta. 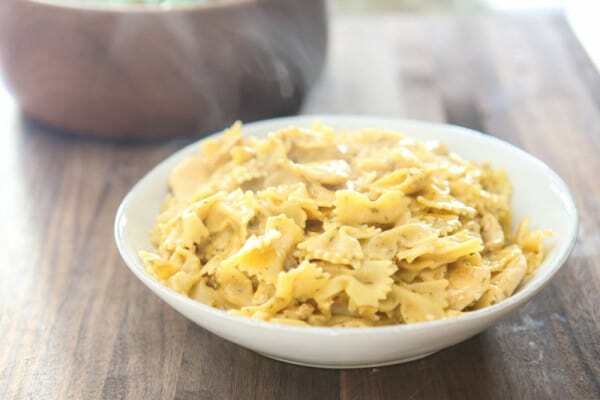 You don’t even have to boil the pasta first. How easy is that! 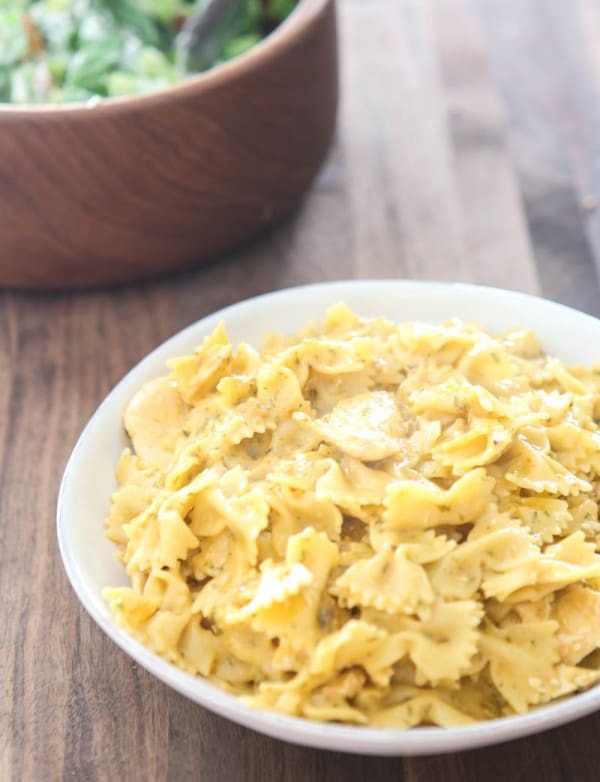 I served this pasta with a simple Caesar salad and dinner was done in about 15 minutes. My husband commented that this pasta tasted like a dish that you’d easily pay over $10 a plate at a restaurant. But this meal cost almost the same and it fed our whole family! This meal would be so easy to customize to. You could easily add fresh or frozen peas, broccoli or spinach for more nutrition too. Which Tyson® Ready for Skillet meal kit would you like to try?